How to Assemble Computers – For those of you who want to learn to assemble their own computers, you can follow and listen to the study guide to assemble the right computer, complete with the pictures in the article that I will share below. 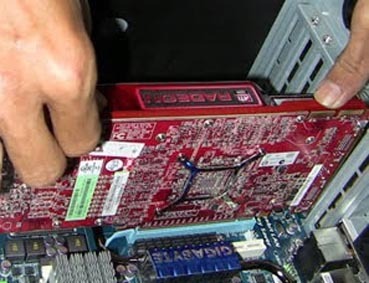 In assembling a computer, besides adding the knowledge of assembling a computer, it can also provide its own satisfaction if you succeed in doing it and also we can determine the quality computer components because the components that will be installed to assemble the computer have been determined according to the finances. Before starting computer assembly , equipment that needs to be prepared such as: pliers, screwdrivers, cables, screws, jumpers, bolts, drivers and application programs. And also must be considered about compatibility / compatibility of the components of the motherboard because each type of motherboard supports different types of processors, RAM, ports and I / O buses. We first determine the position of pin 1 on the processor and processor socket on the motherboard, generally located in a corner marked with a dot or indentation. 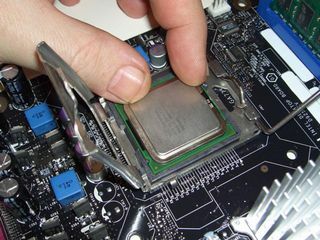 Adjust the position of the processor leg with the socket hole, if it is then press the processor into the socket until it meets. Lock again with the locking lever. To install the motherboard on the casing, place the motherboard on the chassis tray and adjust the hole between the casing and the motherboard hole, then lock with the screw. After the processor is installed, then install the heatsink so the processor is not hot. 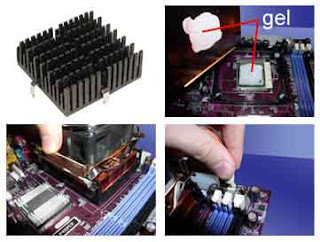 This heatsink is placed on the processor and is held with a retainer so it can not be separated. Previous laps heatsink with Heat Transfer Gel. If your heatsink has a fan / fan then the power connector on the fan / fan is connected to the motherboard. 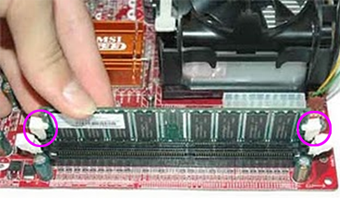 How to install the RAM / memory module, namely: Open the locking lever first, then adjust the position of the indentation in the memory module with the grooves in the slot. When it’s right, then press and reinstall the RAM / memory locking lever. Place the power supply in place that is behind the casing, then lock it with a screw. Connect the power connector from the power supply to the motherboard and the cables. 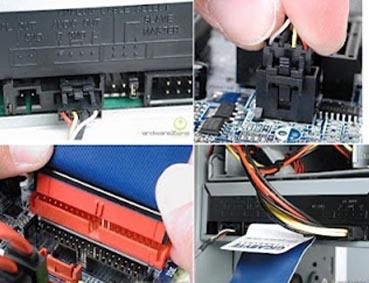 Install the primary and secondary IDE connector cable on the motherboard. 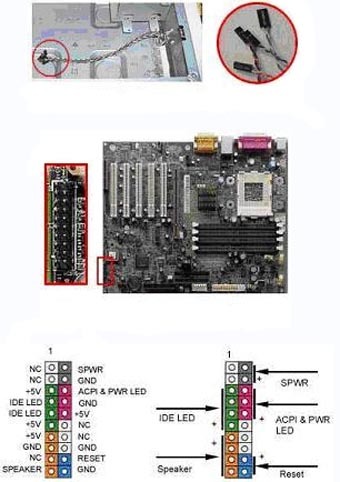 For non ATX motherboards, attach a serial and parallel port cable to the connector on the motherboard. At the back of the casing there is a hole for installing additional types of non slot ports. Open the plate lock screw covered by the wrong port hole, insert the connector port you want to install and plug the screw back in. Connect the mouse and keyboard connector cable to the motherboard. The other connection cable connectors such as LEDs, internal speakers and ports are available on the computer case. Insert the drive in front of the case. First set the jumper settings (as master or slave) on the drive, then install the screws so that the drive does not come off. If the IDE cable is connected to 2 (two) drives, the jumper setting is the first drive to be set as the master and the other as the slave. And the secondary IDE connector on the motherboard can be used to connect two additional drives. Connect the power cable from the power supply on each drive. For Card Adapters that are usually installed are sound, video cards, modems and SCSI adapters. The installation method is: insert the Card Adapter in the available slot on the motherboard, then press until the connector actually enters, then give the screw as a card holder. If all the computer assembly steps are complete, now cover with the casing and give the screw. Connect the cable from the power supply to the wall socket and also connect the monitor connector to the video card port, connect the keyboard cable and connect the mouse to the mouse port. Turn on the computer and monitor, look at the monitor screen and also listen to the sound from the speaker. Now the Fost program from Bios will automatically detect what hardware has been installed on the computer. Perform settings for the values ​​of hard drive capacity and boot sequence. If you have then saved the results of settings and exits from the BIOS setup, then the computer loads the operating system with a search sequence that is adjusted to the boot sequence settings in Bios. Insert the Bootable CD that contains the operating system on the search drive. Turn on the computer, if the computer and monitor do not turn on, check that the power cord in the power outlet is connected or not. When the clock is switched on, the display screen of the monitor is black / black, there must be an error and if on the CPU sound beep, then fix the RAM / memory placement on the socket. If the adapter card is not detected, check the placement of the adapter card is right or not to the slot. If the LED from the hard drive or CD is on, check that the connector is connected or not.